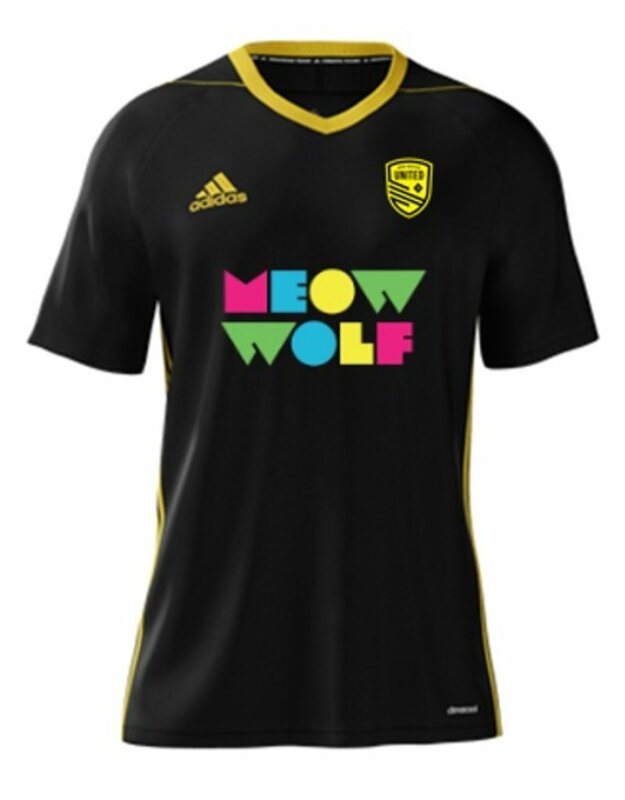 PLEASE NOTE: 2XL & 3XL sizes will available 3/9. 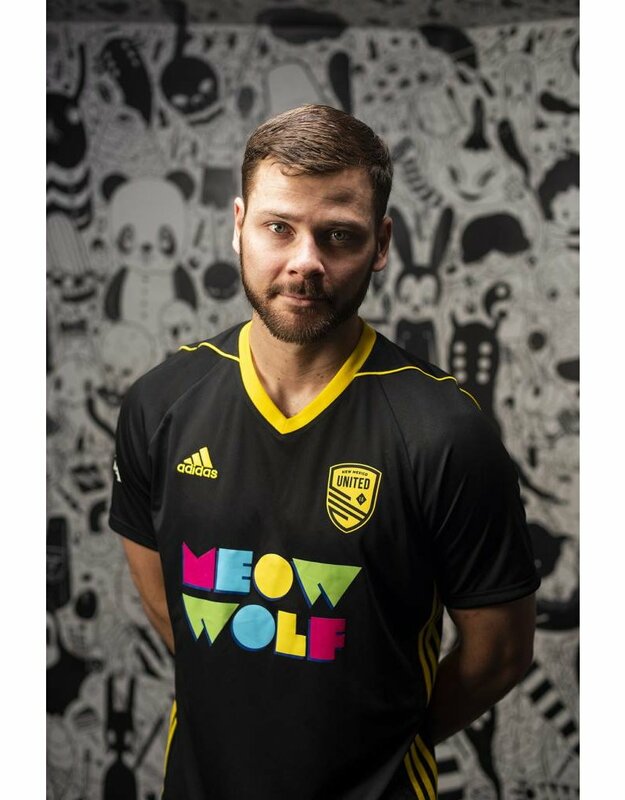 Get your hands on New Mexico United's very first official home jersey, sponsored by world-renowned art collective Meow Wolf. 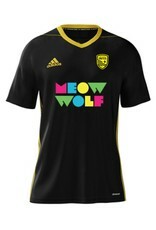 This "Jersey of Eternal Return" features the Meow Wolf logo on a sleek, black body with the signature Adidas lines down the shoulders in New Mexico United yellow. 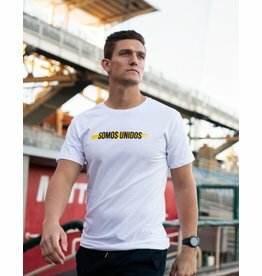 This Somos Unidos Brushstroke long body men's tee is stylish, soft and comfortable. 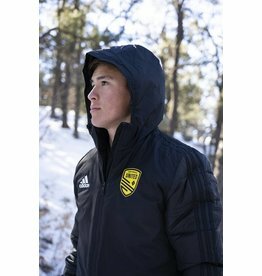 You'll love the simple design and the added touch of the United shield on the back. 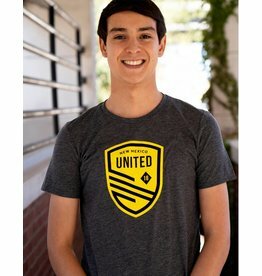 This soft, unisex shirt features our official New Mexico United shield, and it's a basic piece of team gear that you absolutely must have in your closet. 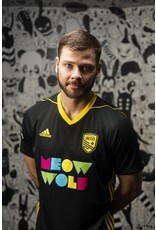 For the whole state. 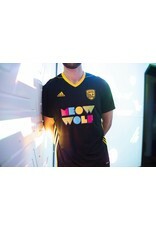 For every New Mexican. 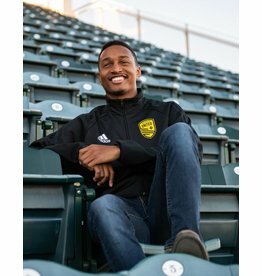 From Acoma to Alamogordo and San Ysidro to Santa Rosa, we are United. 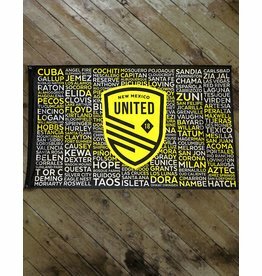 Our first-year flag is a piece of New Mexico United history, and it's available now! 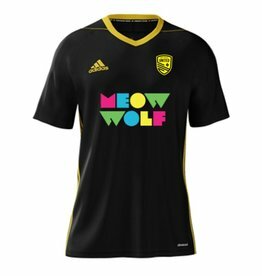 Get yours and raise it with pride! 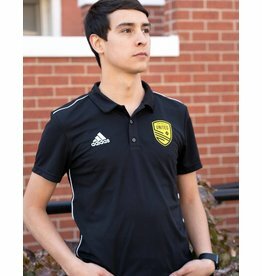 This professional Adidas polo shirt is perfect for the United fan who wants to show their New Mexico pride in any setting.